Welcome to Auckland, the ‘City of Sails’. Auckland offers all of the things associated with a sophisticated cosmopolitan city, from beautiful scenery to adrenaline pumping adventure - and first-class food and wine. You’ll stay 2 nights at the Sofitel Auckland Harbor Auckland. New Zealand’s newest five star waterfront hotel overlooking Auckland’s Viaduct Harbor. Take a picturesque 40-minute boat trip followed by a deluxe vineyard tour combines world-class wine with the beautiful surroundings of Waiheke Island. This morning depart Auckland for the world famous Waitomo Glowworm Caves with their amazing stalactites, stalagmites and other limestone formations. Then enjoy a scenic drive across the Kaimai Ranges to where scenes from the Lord of the Rings and Hobbit movies were filmed. Your guide will show you Hobbit holes, the Green Dragon Inn, the Mill and many other structures from the movies. After the Movie Set tour you will be transferred to Rotorua. Rotorua's striking gardens, cobbled streets and fascinating mix of Maori and English Tudor architecture give the city a significant point of difference. You’ll stay here 2 nights at the Black Swan Lakeside Boutique Hotel - a beautifully appointed 5 star hotel. Today you will experience Rotorua's most natural and popular geothermal parks, Wai O Tapu and Waimangu Volcanic Valley. Your local guide will explain the volcanic processes of Rotorua and New Zealand and you will see farmland, native and exotic forest, volcanoes, geysers, boiling mud pools and hot springs. This evening gain an authentic introduction to Maori culture that will leave you amazed and in awe. Be enthralled by the natural bush setting, see warriors in traditional dress paddle an ancient warrior canoe (waka) down the Wai-o-whiro stream. Enjoy your traditionally cooked hangi meal being lifted from the ground. ​Welcome to Christchurch, the ‘Garden City’. The Southern Alps provide a fantastic backdrop to this awesome city. Perched on the coast, Christchurch is the doorway to the Canterbury Plains which spread westwards towards the mountains. On arrival in Christchurch pick up your rental car. The George, Christchurch’s famous, luxury boutique hotel, is home for the next 2 nights. Located in the heart of Christchurch overlooking the picturesque Hagley Park and River Avon you will find a peaceful retreat just steps from Christchurch's cultural precinct and key attractions. Journey to see how these peaceful mountains were transformed into Edoras in the Lord of the Rings trilogy. Immerse yourself in the natural, unspoiled beauty of this breathtaking area with its sparkling clear lakes, glistening blue rivers and fresh, crisp mountain air. Queenstown is the Southern Hemisphere's premiere four season alpine and lake resort. Nestled on the shores of Lake Wakatipu and overlooked by the majestic Remarkables Range, Queenstown is the perfect destination all year round. The Sofitel Queenstown is where you’ll stay for the next 3 nights. The quintessential Sofitel "art de vivre" and lavish amenities complement the classic, yet distinctive design, in the heart of Queenstown. 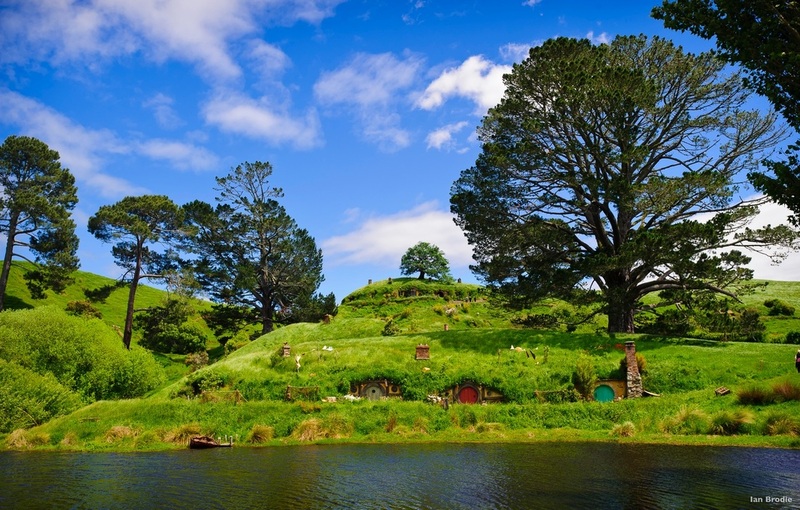 For Lord of the Rings fans, this is the tour that really does take you there and back again. This scenic sightseeing tour includes recognizable film locations and stunning natural scenery. You’ll travel from Queenstown to Glenorchy stopping at breath-taking viewpoints along the way. Beyond Glenorchy follow the Dart River to the spectacular filming location for Isengard. This tour also includes locations from Xmen Origins: Wolverine, and The Chronicles of Narnia. Milford Sound is a world-renowned natural wonder where mountains stand tall, straight out of the sea. Luxuriant rainforest clings to sheer rock walls and waterfalls tumble hundreds of meters to the sea below. Whatever the fiord’s mood – brooding and wet, or tranquil in the sunshine – it will inspire you. DAY 10 – FLY HOME.